Compact machines already act as the work horses for many construction sites. With a Grade Control solution for compact machines from Trimble®, you will find even more uses for these versatile machines. Trimble continues to refine its offerings of systems to work just as hard as you do at a price to fit your budget. A Grade Control for Compact Machines solution from Trimble can help you maximize control, speed, flexibility and productivity. By using a compact machine solution on your skid steer, backhoe loader or mini-excavator you can put these machines to work in more specialized and finished grade applications. 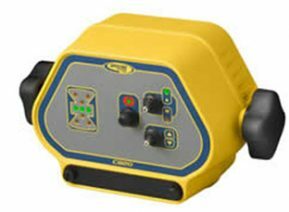 A grade control solution from Trimble makes it possible to immediately see when your on grade without exiting the compact machine, eliminating the time it would otherwise take to check the grade. Meanwhile, you are reducing labor and downtime. And by moving material correctly the first time, you will eliminate the time spent doing rework. Rugged and reliable components from Spectra Precision® are designed for the construction environment, and are flexible enough to fit your every need. 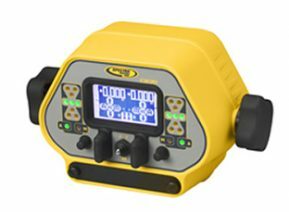 Compact machine control boxes and lasers are easy to use and install, and they won’t break the bank either.